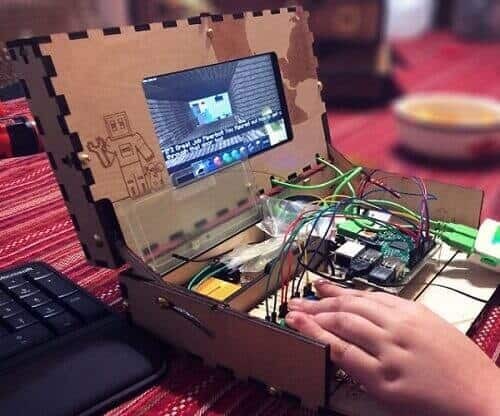 Make technology fun for the kids by allowing them to build their own computer (Raspberry Pi 3 powered PC with a 7″ LCD display). 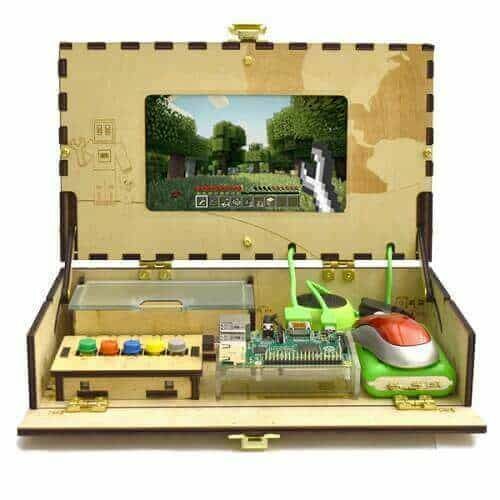 Using Minecraft as a foundation, the Piper Computer Kit is a fun gateway into the world of PC hardware and programming. 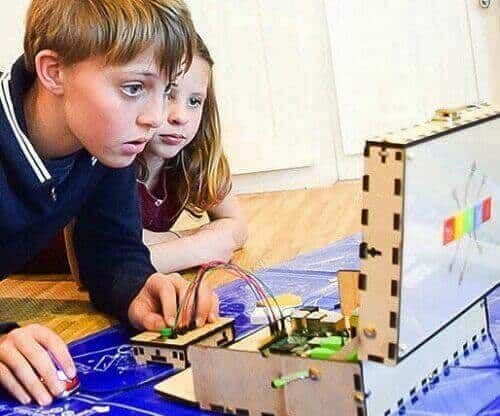 Allowing kids to tinker with technology and understanding how it works is critical to help them make sense of our environment and invent the future. The Piper Computer Kit is both a computer and an invention kit. 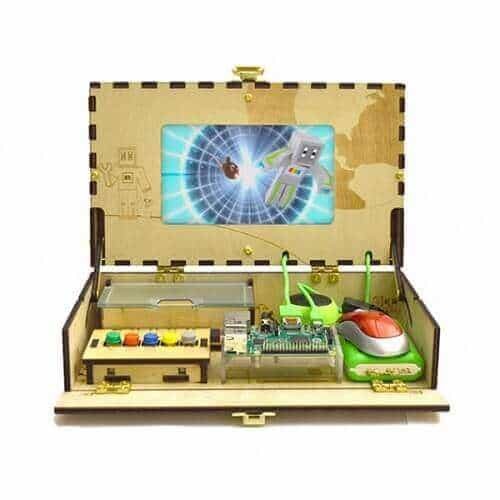 It comes with everything you need to assemble your own beautifully engraved computer and play Minecraft that guides you to craft electronics and invent gadgets. Follow a real engineering blueprint to assemble your own beautifully engraved wooden case. Play our educational Minecraft story mode in a safe, controlled environment. 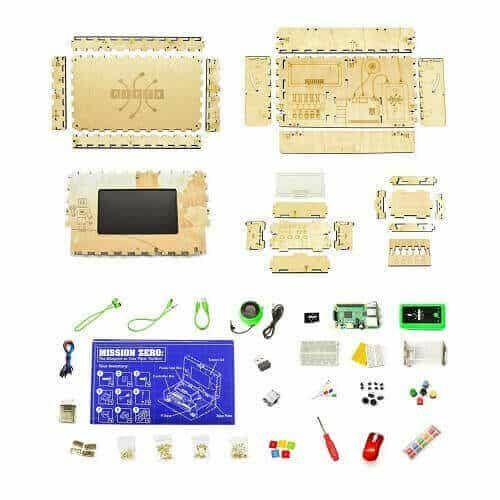 Build and program electronics to explore your Minecraft world through hands-on building. 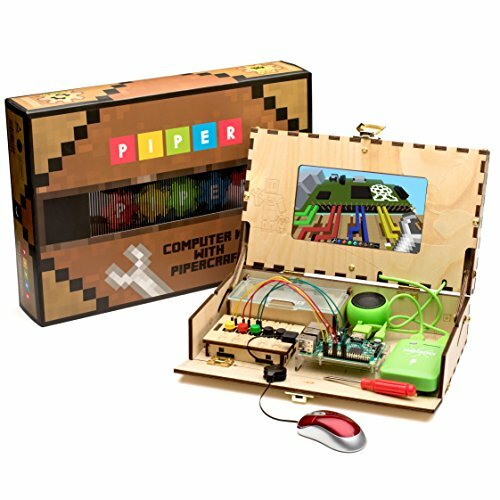 The Piper Computer Kit is an awesome tool for learning how to build, program, and discover new things in the world of computing while having fun. 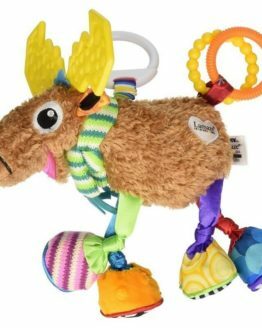 The kit is recommended for children ages seven to twelve. 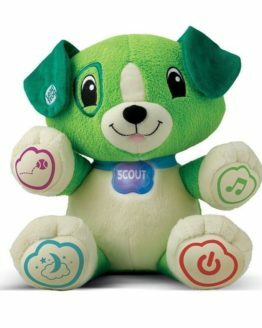 It even provides a Stanford endorsed programming curriculum to help youngsters understand the basics of computing, programming, and electronics in general. 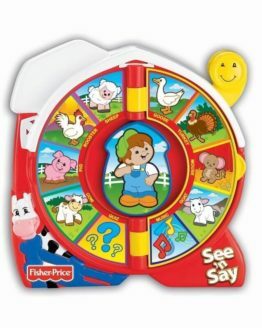 Makes a great gift for children to build their creative confidence, as well as their critical-thinking and problem-solving skills. By combining Minecraft with hands-on building and tinkering, Piper inspires the inventors of tomorrow. Check it out at Playpiper or Amazon.com now. 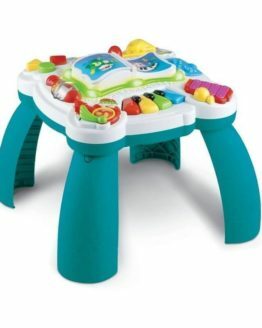 Piper Computer Kit | Educational Computer that Teaches STEM and Coding, Piper Inc.